Here is a list of Sound Therapy techniques offered in our Sound Therapy Center. For more detail on each of the techniques CLICK HERE to visit our Sound Therapy Center. First there is the whole world of music. Music has been used for years to simply help relax people and put them in a better state of mind. After all it has been proven that when someone releases tension and relaxes, their immune system benefits. Application-specific audio includes pain control, neurodevelopmental remediation, relaxation and stress relief, meditation, sleep, accelerated learning, enhanced productivity, consciousness raising, and connecting to spirit. There is also a growing number of musicians that take Psychoacoustics into consideration when producing commercial albums. Music is also being used to help with the alleviation of pain. There are a wide range of surgeons who now use sound therapy before, during, and after surgery. It has been shown to substantially reduce the amount of anesthesia that is required. In a similar light, sound is also used to aid in both the birthing and dying processes. There are numerous tapes and CDs that have come out for making the birthing process smoother. As well, there are centers, such as Chalice of Repose who use sound and music as an aid to a beautiful death. There are drum and rhythm schools that use sound to facilitate all kinds of ends. And, of course, there are a huge number of CDs that use both sound and music to cure just about every ill you can imagine. For example, Village Music Circles in Santa Cruz has an entire program based around drumming and rhythm. There are many people who believe that we have a fundamental root sound and if we get in touch with that frequency, we get more in touch with ourselves. The same types of people also often believe that the earth also has its own frequency that is good to get in tune with. Some take this idea into more detail by mapping out the frequency of each Chakra or each Sepherod within the Kaballah’s tree of life. There is also a wide range of individuals who use sounds on acupuncture and acupressure points. Some people actually will sing into Chakras or acupressure points. 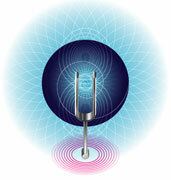 More popular is the use of tuning forks or other electronic sounds that are applied to specific points on the body. Some practitioners believe that the resonant frequencies of crystals are even more powerful when applied to the body. Another more common technique is to teach people to resonate their body with their own voice. Chanting and toning are techniques for vibrating different areas of the body through singing. Not only does this provide a deeper awareness of the way sound resonates naturally throughout the body, it also is a lot cheaper once you learn the techniques! Probably one of the largest areas of interest is that of Vibroacoustics. This is the application of sound to the body through special sound transmission devices such as sound chairs and sound massage tables. Sound is currently being used to help correct certain learning disabilities in children. There are numerous clinics across the world that are using the research of Dr. Tomatis to stimulate the brain and nervous system. For example, The Listening Program uses his technique whereby low frequencies are increasingly rolled off in classical music until only the high frequencies are left. Then all the frequencies are rolled back in until the full audio spectrum is again present. It has been proven that using this technique over a few weeks significantly aids in the reduction of learning disabilities. There exists a wide range of techniques that range from simple sound massage to what is termed “sound surgery” where sound is utilized inside the body. This includes placing highly precise tones within specific organs. Of course, ultrasound has been used for years to break up kidney stones or plaque on our teeth. This type of sound application is also being explored on other diseases such as cancer. Fabian Maman shows cancer being broken up with sound in one of his books. One of our instructors used sound to completely get rid of large breast cancer tumor. The tumor has now been gone for five years. Using sound to destroy diseases is an aggressive form of sound surgery. Sound now being used more and more to help restore tissues to a healthy state of being by resonating the frequency of healthy tissues. Doctors have now figured out the resonant frequency of healthy organs. 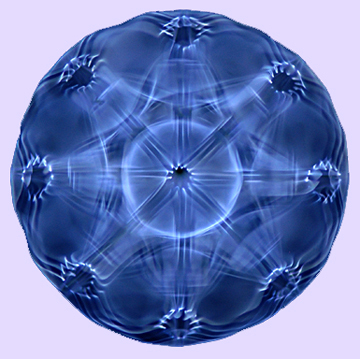 By applying the correct frequency to a diseased organ, the organ is entrained into a healthy state of vibration. Sound can also be used to massage organs. For example, when the heart has a disease it is known to “freeze up” and not move freely within it’s own sac. Applying sound to the heart at the right frequency massages the heart, loosening it up so that it can move more freely.